Thinking back I have a hard time placing what the first video game I played. Computer games of one form or another have been a part of my life for so long that it is hard to pick out when we first met. While considering this many happy memories float to the surface of my mind. I remember many hours spent with my Mom waiting at the Kansas City airport for Dad’s flight to arrive, as I mastered the intricacies of a little hopping guy and a snake. 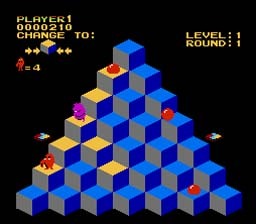 To my recollection I got fairly good at Q*Bert in those days. In my mind this wonderfully addictive game endures as one of the great early games. The next machine over was Joust. I never really got Joust. I mean seriously ostriches? What kind of messed up world do the soldiers ride around on freaking ostriches? I then spent years in a close relationship with a console. It all started with stick, a big red button and a triangle. Yes, I’m talking about Asteroids on the Atari 2600. I remember spending many hours in my elementary and middle school years playing games on this venerable system. Pitfall, Zaxxon, River Raid... ah the memories, yes even Pong. Then in 1988 I was introduced to what would become my new love, the personal computer. I wrote my first program on a good old grey box TRS-80. Many games, many good times, on one PC or another. Many, many failed attempts to write game programs in BASIC, but the path of my future was set in these early days. When others were spending time engaged in Mortal Kombat, I was far more likely to be spending time wandering the world of Myst, or dialed in to one BBS or another playing various text based games. In my college days in an attempt to relieve class related stresses I got back to basics with various Rouge-like games and my favorite harking back to my gaming origins, the Asteroids update for Mac, Maelstrom. My wife can tell you I probably spent way too much time on these. Now a days I don’t spend nearly as much time on games as I used to, have a Wii but mostly it gets used for Netflix streaming or my daughters playing their own games. Yes, the gaming circle of life is complete as I pass the torch to new new generation. Laith Preston is a voracious reader, aspiring writer and jack of manytrades. When he is not at his day job as a web application developer,he can be found wasting way too much time on various pastimes in DesMoines, Iowa, with his wife, three kids and the cat. 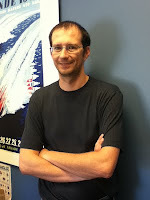 You can find hisaimless meanderings at his blog, http://laith.wordpress.com/.